The flagship of the AAM Competition 3'' exhaust line, the AAM Competition 3in True Dual Exhaust System is the highest flowing exhaust available for the 350Z. Designed to support the most demanding volume and velocity flow requirements, the AAM 3in Competition True Dual exhaust system is a perfect match for any Turbocharged 350Z, including 800rwhp+ competition setups. The AAM Competition exhaust system comes with a specially designed 3'' inner diameter flange on each side that bolts-up to either the factory cat pipes or most aftermarket 2.5'' test pipes. 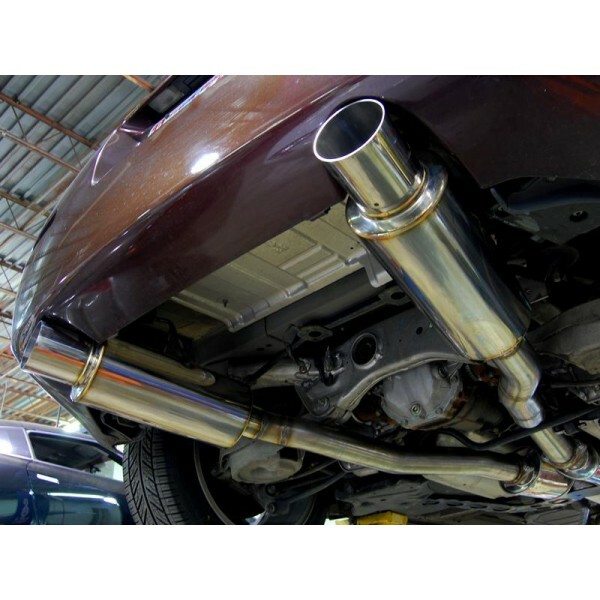 Twin mandrel bent 3'' polished stainless steel T-304 16 Gauge exhaust tubes run along each side of the 350Z's undercarriage. Two high-flow stainless steel resonators ensure straight through flow and a deep exhaust note. By significantly decreasing thermal load, the AAM Competition 3'' True Dual exhaust system provides the maximum reliability for your VQ35 engine and its internal components. Preliminary testing has shown gains over 40rwhp on high horsepower turbocharged Z's vs. the factory exhaust. 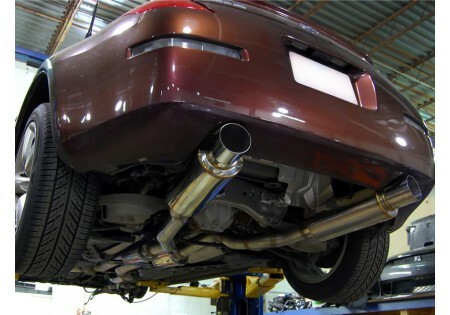 Recommended Install Time: 2 hours (due to the nature of 3'' over-sized piping and the tight fit, minor adjustments is normally needed during installation of exhaust system).